Our Fraser belt is a slick vegan leather belt attaching a soft faux fur pouch in a deep forest green color. This is a cruelty free piece made carefully and ethically for Blue District, preserve its life by reading and following the tag guidelines. Tip: When in doubt, air dry your garment! It helps the planet and it'll stay in shape longer. NEW ORDERS WILL BE PROCESSED APRIL 27TH. Blue District measures each pieces carefully to make your shopping experience a breeze. Each product provides a description of how it specifically fits with the corresponding sizing. 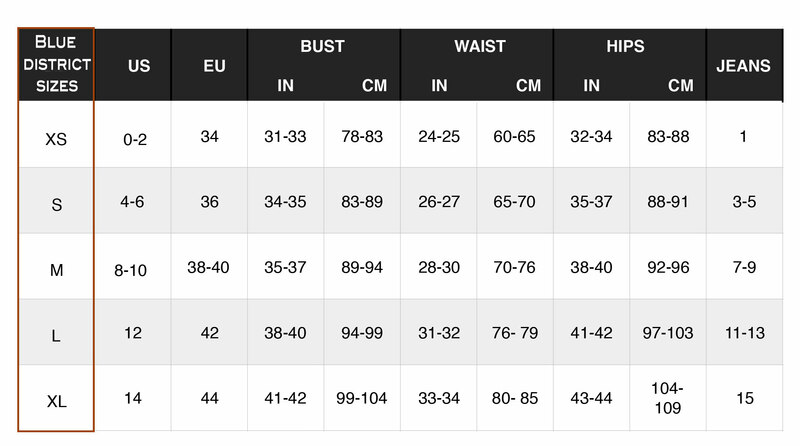 If you are not sure of your own sizing, please refer to the chart below!